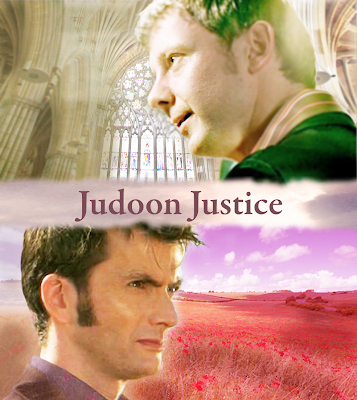 I've just finished chapter 4 (final chapter) for Judoon Justice, and had some time to do a bit of photoshopping. I can't say that this is my favourite hobby, and I rather leave it to the professionals. My head hurts like hell. But the pic I got looked kinda okay, so I'm posting it up to see how it looks like on the blog. The next chapter of Judoon Justice is as promised, this week saturday. However, I'm flying off first thing tomorrow morning to Istanbul for a short holiday and I have no idea if the hotel has any wifi or internet connection. 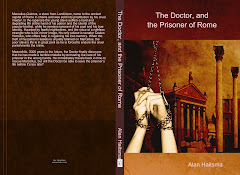 So, maybe I'll post the next chap a little earlier. We'll see.